I have now seen three movies in the past week and a half. That's a lot for me, but movies do seem to come in droves. There doesn't seem to be anything in April of May that I want to see, then there will be two in June. I guess that's just the normal way of it. The first of the three, Remember Me, I already talked about. Then last Friday I saw Alice in Wonderland (3D, of course). I agree with the general consensus that the visuals are good and the story is, well, just the story. It was just that with such a stunning visual scene and being such a big production (with a big budget, too), the storyness of it, at times, wasn't what I found myself expecting. Maybe Remember Me was just too fresh in my mind . . . . Anyway, not bad, and Johnny Depp as the Hatter was one of the highlights. The last movie was The Runaways, which I saw yesterday before class. Not a bad way to start the morning; lots of music to wake you up. And let me say to the critics, please, why do you have to compare "Robert Pattinson's Remember Me" with "Kristen Stewart's The Runaways?" They aren't at all similar. Both were smaller productions, but the indie feel is much more for the latter than the former. One is about two families, one about a '70's rock band. There is much more to define them by than two actors, though, yes, I likely wouldn't have seen either of them if not for these two said actors. I liked Remember Me more, just because it's more my kind of movie. But The Runaways, that did brighten my day a little, I think. I wasn't very familiar with the music before, but it kept playing in my head until I had to make a Pandora station to listen to while doing some work. Now that I hadn't expected. 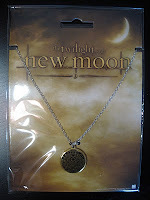 And the New Moon DVD came out this weekend. Here is the Borders version, in all its glory. At least, as much as my horrible photography skills and bad lighting can express. One reason I like this version better is the packaging. I'm not keen on the other DVD covers, but all of this one is quite nice. The extra Borders features weren't as much as I had been hoping for, but were still better than just the normal ones. 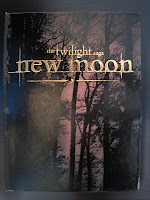 I do think that with the huge Twilight fan following, there could be more special features. People want to know everything about how these movies were, and I like special features, but it usually seems that the movies I like don't have very many. The new Liz Curtis Higgs book, Here Burns My Candle, came out last week. I very much want to read it, but I'll have to wait until summer. 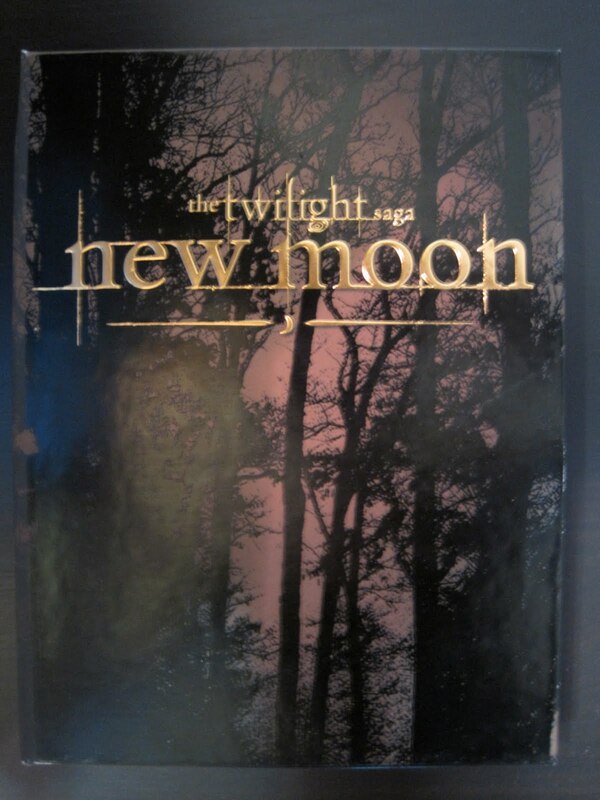 And something induced me to also get Twilight: The Graphic Novel. I don't read graphic novels; I've never even held one. I don't know why I got this one . . . it says something about loyalty, I guess. But it may be interesting. (And I don't know why this last part is underlined -- I can't make it go away, so forgive it). This weekend, I finished George Eliot's The Mill on the Floss (also for the British novels class). It's hard to say what I thought of it. I want to call it a dense book, but that isn't the right word. Analytical is better. Detailed I like more. It takes a very long time to say anything, even for Victorian novels. It definitely has its moments of beautiful language, and some of the plot is engaging, but is that enough? Is that enough when many times the text feels so dry in its detailed account? It depends on the reader. I can't say it was my favorite book, and I can hardly say I'll be rushing out for more George Eliot. I'm reminded of my thoughts on her Silas Marner a few years ago. That book is much shorter, so I decided that it was a "nice little book." I believe I specifically said that it was nice, being the short length that it is, and if it was longer, it wouldn't be so worth reading. The Mill on the Floss is a long book, not a short, hence my indecision. If it, too, had taken less time to get its point across, I think I would think better thoughts on it. (Which isn't to say I have anything against long books in general; they just need to merit their length). Now that I'm finished with this one, I've started Ovid's Metamorphoses for another class. Spring Break tempts me to do no work, but I know I'll regret it later if I don't make use of this extra time, so here it goes. I read Book I this morning; hopefully Books II and III will follow this afternoon and evening. I am pleasantly surprised, though, at how enjoyable it is so far. I was under the impression that the verse would slow down the reading, but it quickens it, instead. Certainly a much lighter read than The Mill on the Floss, I say.